You Are Here: Home > 2019 INFINITI QX60 vs 2019 Kia Sorento | Which is Better? 2019 INFINITI QX60 vs 2019 Kia Sorento | Which is Better? Midsize crossovers continue to be popular with a buying public that wants a balance between brawn, spaciousness, and premium quality. Few get any better than the INFINITI QX60 and the Kia Sorento, which are alike in that they are three-row, seven-seater vehicles. While the former is currently in its seventh model year with its 2019 edition, the latter is in its third generation of production, having debuted in the early 2000s. Ultimately, though, if you are looking for more refinement, the QX60 is what you should go with. Here are three main reasons why. The engine on the 2019 INFINITI QX60 is silky yet powerful. Propelling the luxury ride is the venerated VQ35DE, which is a 3.5-liter V6 that produces 295 horsepower and 270 lb-ft of torque. The most powerful workhorse available on the 2019 Kia Sorento is a smaller, 3.3-liter V6 that pumps out 5 less horsepower and 18 less lb-ft of torque. The engine on the 2019 INFINITI QX60 is glued to a continuously variable transmission (CVT), which eschews gear shifting for a smoother ride experience. Plus, fuel efficiency is vastly improved because of the absence of such an energy-consuming method. However, the CVT does have a manual shift mode in case you are in the mood for more excitement. Unlike its INFINITI counterpart, the 2019 Kia Sorento does not offer a CVT as a transmission choice; instead, it is restricted to just an electronically controlled 6-speed automatic gearbox. For entertainment, the 2019 Kia Sorento is rather stacked. It starts off with six-speaker audio, Bluetooth® connectivity, a USB port for connecting mobile devices, and a 7-inch color touchscreen that carried over from the previous model year. However, the 2019 INFINITI QX60 surpasses its Kia counterpart: with five USB ports (two for connecting mobile devices and three for charging them), a four-year SiriusXM® Travel Link trial subscription, three months of free SiriusXM® satellite radio service, HD radio, and a dual-screen system that combines the 8-inch INFINITI InTouch™ screen with the INFINITI Intelligent-View® Display system. Can’t wait to take the 2019 INFINITI QX60 for a spin, rather than the 2019 Kia Sorento? 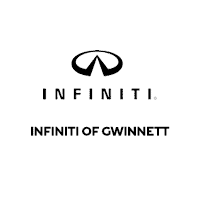 We will be more than glad and able to assist you at our dealership in Duluth, GA. We are one of the most prominent INFINITI dealers in the Atlanta area, and one of our sales experts will help get you into the QX60 of your desires.